Search and you will find pages upon pages of product photographers on any search engine site. The choices can be overwhelming and confusing. However the process can be simplified with these 4 Things to look for in a professional product photographer. 1. Communication - This is the key to getting the photo you visualize. You are the expert on your product, and know how and where you plan to use the photos. Your product photographer needs to have good communication skills, following your sample layout photos or detailed instructions. 2. 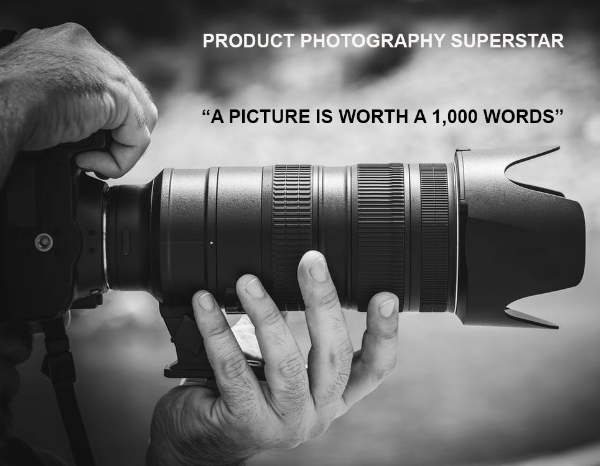 Experience - The product photographer needs to know the size and background requirements from sites like Amazon and other e-commerce platforms. The product photographer will be responsible for finding the best angle and lighting to ensure your product will be shown in the most eye-catching way possible. An experienced product photographer will save you time and money, getting the best set of product photos the first time around. 3. Product Specialization - Most products can be photographed by any product photographer, however there are certain items that truly require an expert in that field. Jewelry, silverware, glassware and clothing all require a product specialist. 4. Budget - Product photography prices can have a vast range, from the economy of a single item on a white background, to the luxury of lifestyle photos with models on location. Know your budget, so you can easily find the right photographer that fits well with your pocket. Ultimately the most important Thing in finding a product photographer is to get started. Purchase a minimum of photos from the product photographer of choice and see how things go. It’s as simple as that!